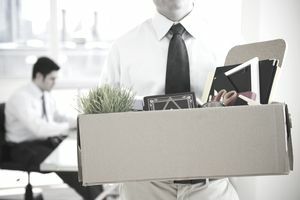 Employer-provided health coverage is a great benefit for your employees, but what when an employee leaves the company? Larger employers have a responsibility to maintain these benefits for a period of time after the employee is terminated although they don't have to continue paying for them. These benefits are provided for under the Consolidated Omnibus Budget Reconciliation Act, commonly known as COBRA. The Consolidated Omnibus Budget Reconciliation Act is a part of the 1974 Employee Retirement Income Security Act (ERISA). The COBRA law was enacted to give employees continued health benefits in case of termination when those benefits are tied to the company they worked for. COBRA laws are enforced by the U.S. Department of Labor through the Employee Benefits Security Administration. How Does COBRA Affect You as an Employer? If you have more than 20 employees and you offer company-paid health plan coverage, you must offer COBRA coverage to employees who are terminated. You don't have to pay the cost of the coverage for terminated employees, but you must keep them on your health plan for a certain period of time at the same rates as other employees. Smaller employers are not required to comply because of the cost of continuing health plans for employees. COBRA applies only to for-profit businesses "that have at least 20 employees on more than 50 percent of its typical business days in the previous calendar year." Both full-time and part-time employees are counted in this calculation. Part-time employees are counted based on the percentage of the time they work compared to a full-time employee. For example, if a part-time employee works 20 hours a week and your full-time employees work 40 hours a week, the part-time person would count as 50 percent of a full-time person. Add up all the full-time and part-time employees to see if your business meets the minimum for the requirement. You must include covered employees, former employees, spouses, former spouses, and dependent children in the COBRA coverage you provide if the person receiving the benefits is "qualified." The DOL says, "A qualified beneficiary is an individual who was covered by a group health plan on the day before a qualifying event occurred that caused him or her to lose coverage." The Employer's Guide to COBRA Benefits has a chart that explains more about qualifying. When Must You Offer COBRA Benefits to Employees? You must offer COBRA coverage to the dependent spouse and dependent children upon the death of an employee or upon termination or a reduction in hours, such as if the employee goes from full-time to part-time status and therefore loses benefits. You must give employees information about COBRA at the time of termination so they can make a decision. You might also be required to offer COBRA coverage to dependent children if your health plan stops coverage for them at a certain age. But you don't have to offer COBRA coverage to employees who are terminated for "gross misconduct" or if the employee becomes eligible for Medicare. What Kind of Benefit Must You Offer? The COBRA coverage you provide to employees must be the same as that provided to current employees under your health plan. If the employee elects COBRA coverage, she must be kept in under your group insurance. How Do You Know If One of Your Employees Is Entitled to COBRA Coverage? The Employee Benefits Security Administration sets three basic requirements for determining whether an employee is entitled to coverage. Your company's plan must be covered by COBRA, a qualifying event must have occurred such as the death of an employee or termination, and the person receiving the benefit must be qualified. What If the Employee Doesn't Take the Coverage? Some employees may have an alternate form of health coverage through a spouse or through the Affordable Care Act. These individuals might decide not to sign up for the COBRA coverage provided by your company. How Long Do You Have to Continue COBRA Coverage? You must maintain and pay for COBRA coverage for up to 18 months in the event of a termination or a reduction in hours. COBRA coverage might be required for up to 36 months in other circumstances such as when there is a second qualifying event after the first one. How and When Must You Notify Employees About This Coverage? You must present this information and the opportunity to enroll when you talk to an employee about termination or a reduction in hours. The DOL calls these "qualifying events". The same opportunity must be given to the dependents of an employee who has died. It's a good idea to gather information about COBRA coverage and add it to your termination checklist because you must give specific notification documents to the employee, such the Employee Guide to Health Benefits Under COBRA. The employee must pay for the coverage, but you must make it available at your company's group insurance rate. The person with the coverage must also pay all deductibles and make all co-insurance payments. Any increases in cost for coverage must be paid by the person receiving coverage. It is becoming less common for employees to choose COBRA coverage because they have other options, like one of the state Marketplace plans through the Affordable Care Act. Give your employee the proper contact information for your company's health insurance company so he can sign up. He'll have a specified period of time called an "election period" in which to do so. If he fails to sign up and pay the required premiums during the election period, he can be dropped from coverage. Are Employees Eligible for COBRA Coverage During Leaves of Absence? A leave of absence is not a qualifying event for COBRA coverage. Employees aren't eligible during Family Medical Leave Act (FMLA) leaves of absence. You must notify your health care plan administrator when a qualifying event occurs such as the termination of an employee. You do not have to notify the Department of Labor. Is COBRA Being Replaced by Obamacare? The COBRA law is still in place but terminated employees now have more options for finding their own health coverage after termination. Those options now include coverage under the Affordable Care Act. Note: This article provides general answers to common questions employers have about COBRA laws. It's not intended to be a detailed report but only to give you an overview of your responsibilities as an employer. Every situation is different. Consult your benefits administrator or contact the U.S. Department of Labor if you have specific questions. If your company's health insurance plan is through a plan administrator, they'll have information about this regulation.